Laubacher & Co. is a Cleveland law firm dedicated to providing diligent, knowledgeable and effective legal representation in a broad spectrum of Ohio family law matters. Our mission is to guard your financial interests while — most importantly — protecting your relationships with your children. Our team of skilled lawyers stays on the cutting edge of legal developments and prepares each case for the possibility of trial. We are fully committed to fighting for justice on your behalf. From day one until the final resolution of the case, we will be your faithful guides through the complexities of the court system and any challenges that arise. Laubacher & Co. also assists families with other common legal concerns, including employment disputes, contract disputes and bankruptcy. 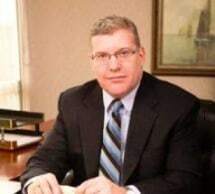 Mr. Laubacher is joined in practice by partner Cara Santosuosso, an experienced trial lawyer and former assistant prosecuting attorney with the Office of the Cuyahoga County Prosecutor, Division of Children and Family Services. Our associate attorneys include Denise R. Michalske, Douglas R. Henry and Jennifer M. Hanes. From our Cleveland office, we serve clients in Cuyahoga, Summit, Lorain and Medina counties. Call us today for a free initial consultation about your divorce or family law matter. We offer evening and weekend appointments as necessary.